Nils Vigeland was born in Buffalo in 1950. He made his professional debut as a pianist in 1969 with the Buffalo Philharmonic Orchestra, Lukas Foss, conductor. He studied composition with Mr. Foss and David Del Tredici at Harvard College and earned a Ph.D at the State University at Buffalo where he studied with Morton Feldman. For eight years (1980-89) Vigeland directed The Bowery Ensemble which gave an annual series of concerts in Cooper Union, NYC. The group gave the first performance of over thirty works by composers including John Cage and Pauline Oliveros. He has recorded a 10 CD series for HAT ART with Eberhard Blum and Jan Williams of the complete extended duration works for flute, percussion and piano by Morton Feldman. His own work appears on CDs from Mode, Lovely Music and EMF. In 1992 his opera, False Love/True Love, based on two scenes from Jane Eyre, was commissioned and performed by The English National Opera at the Alemida Theatre, London. In 1989 he was a recipient of The Rose Prize which included a performance of his orchestral work, My Father’s Song, by the Brooklyn Philharmonic. In 2008 Manhattan School of Music commissioned Crossing Brooklyn Ferry, performed at Zankel Hall. Vigeland has been the recipient of grants and awards from The Ford Foundation, The NEA Consortium Commission Program, and The Mary Flagler Cary Trust. He has taught at Manhattan School of Music since 1984 where he is currently Chair of the Composition Department. 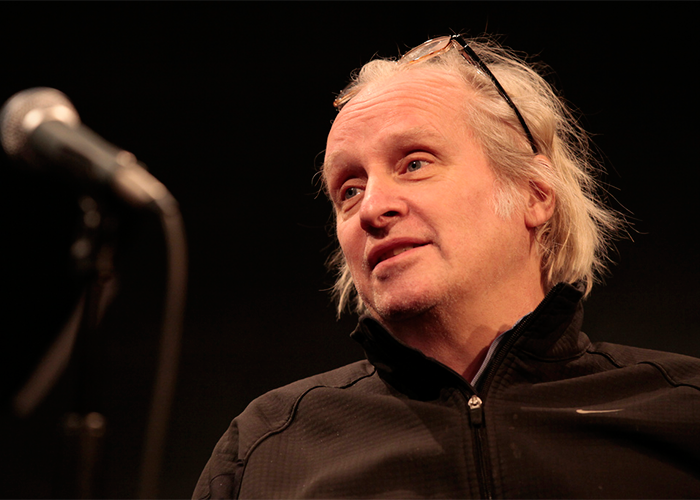 Vigeland appeared as a featured composer during the 2011 Avant Music Festival.